Looking for a business hotel for clients? Or a plush place to put up guests from out of town? Check into the affordably chic Park Prime. 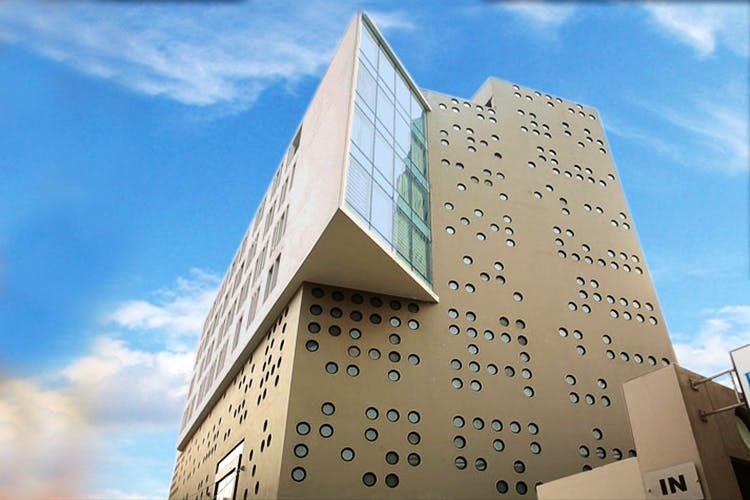 Whether you are in Kolkata on business or as a tourist, The Park Prime Hotel offers splendid contemporary accommodation with a touch of the artistic. From the bold wedge shape of the facade to the sculptural feel of each informal space, the hotel elevates the senses. The four levels of rectilinear projections houses 63 rooms with trippy decor. Its central location on AJC Bose Road is a huge advantage, being close to the city centre and business districtsand not too far from the Ma flyover which will zip you through to the airport. Rooms have electronic safes, m inibar, precolators and high definition TVs. If you opt for a Prime Suite, you get a luxurious recliner, complimentary WiFi and stationery kits. The Theme Rooms have trippy decor in a variety of hues, tones and textures (guests sometimes call them Dream Rooms). These have separate living and bed areas. You can enjoy delectable food at their multicuisine restaurant, The Khana Sutra, or you spend time at Nosh, the 24-hour bistro or at the rooftop Henry’s Lounge & Bar. They also have a swimming pool o the roof and a spa which offers different kinds of massages, treatments, body scrubs and wraps. Visit their website to avail the best deals.